Hey friends! Hope you all are doing well with your Business and are in the search for a best successful result giving Social Media Optimization Service which can boost your Business with the increased revenue. We (Omkara Marketing Services) are sure that after reading about our Powerful, Effective, Proven, Result Oriented, and Customer-Centric Social Media Optimization Services with the complete Solution you will surely join us and we all together with you will put complete efforts to make your Business Dream the reality on the earth. A) What is SMO – Social Media Optimization? / Definition of Social Media Optimization. C) What do (Omkara Marketing Services) we provide in Social Media Optimization (SMO) Services? D) Benefits of Social Media Optimization Services (SMO) OR Why is Social Media Optimization (SMO) necessary? OR Benefits of Social Media Optimization Services (SMO) with Omkara Marketing Services! E) How To Know If Social Media is working? OR Social Media Analysis OR How does Omkara Marketing Services analyze Social Media Optimization? 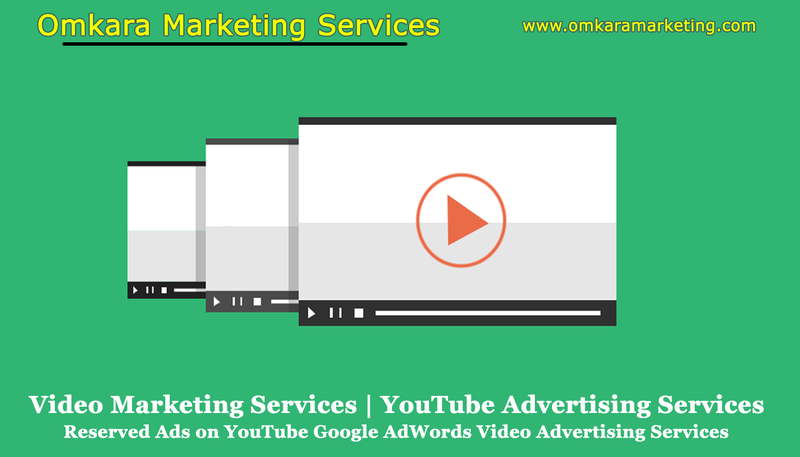 Omkara Marketing Services (which is pioneer Digital Marketing Services provider also deals with Internet Marketing Services, Internet Marketing Firm in Marketing & Communications, Internet and Online Marketing, Marketing Interactive, Advertising Marketing) has top Social Media Management techniques. SMO and SMM are the two impactful marketing sources, the two essential pillars in the Social Media Management and indirectly in the digital sphere or Digital Marketing Services that are built upon many tools and strategies, which differ with each other greatly. While these two terms seem so identical to one another, their real meaning and purpose contradict each other greatly. A) What is SMO – Social Media Optimization? Definition of Social Media Optimization. Social media optimization (SMO) is the process of modifying, streamlining a website in ways that make it easier for visitors to share and spread site content across various social media sites. In other words, it allows you to make your site more visible to social media users. For an example of SMO in action, just tap on the Share Icon on this page and you will see that row of social media icons poped-put before you. This design allows you to quickly share this response or discussion with your friends on the most popular platforms: Twitter, Facebook, Google+ and others. Other SMO strategies include adding a blog, rewarding Inbound Links and offering syndicated feeds through RSS. Social Media Optimization or SMO refers to the process of refining, streamlining or optimizing a website so that its awareness and contents are easily spread through social mediums and online communities by users and visitors of the website and making it more exposed online on various social media channels. This can include anything done “on-page” such as improving the design and usability of the website so that it becomes more compelling to users, in an effort to help them share (spread) it through various social media sites. In general, social media optimization means to make a website and its content viable and optimized for sharing across social media and networking sites seamlessly without any difficulties. Social media optimization is a process of making your website Social Media Marketing ready. Social Media Optimization (SMO), requires that your website and web pages to be worked out, so they can perform in an optimum way on social media. We, follow an extensive process for social media optimization. Social Media Optimization (SMO) helps to uplift the sale, reach, the value of your product or service, brand or event by using an available social media outlets and communities to generate viral publicity. Social media optimization includes using RSS feeds, social news and bookmarking sites, as well as social media sites and video and blogging sites. Social Media Optimization (SMO) refers to on-page modifications on your website whereas Social Media Marketing (SMM) refers to activities taking place outside your website (on some other channels). In brief, Social Media Optimization (SMO) can be taken as a way to encourage Social Media Marketing (SMM) activities by visitors to your website. Considering marketing point of view we can say that Social Media Optimization (SMO) is the Pull Marketing or say Inbound Marketing. Social Media Marketing (SMM) is Push Marketing or say Outbound Marketing efforts. Social Media Optimization (SMO) is Pro-Active Marketing. Social Media Marketing (SMM) is Active Marketing. Even though many of you might consider Social Media Optimization (SMO) as a part of Social Media Marketing (SMM), but the fact remains, Social Media Marketing (SMM)starts when Social Media Optimization (SMO)ends. Social Media Marketing (SMM) is the next step to Social Media Optimization (SMO). When you optimize for either search environment, the existence on these platforms creates a pool type existence between your website and your social media profiles giving a seamless experience from you to the customers across all the platforms. The direct benefit gained is that more people directly find your profile and connecting with you and visiting your website. The indirect benefit is from an extra link pointing to your website from your profile. You are supposed to essentially use social media as a catalyst with the help of Social Media Optimization to grow your Services' online presence. SMO is not that you create or set up your profile on Pinterest, Linkedin, Instagram, Facebook or Twitter to be where your customers are, but very clearly SMO is to create, build, maximize your social media plan to connect with your target audience, with a strategy. Extend Efforts Throughout Your Organization and not Limited to Marketing or Sales Team. One of the core competencies for SEO is the ability to do keyword research. Keyword research is all about identifying the phrases and topics related to your products or services and your target audience is searching for, so relevant content can be created from them. The same thing applies to social media optimization. We find out what topics, hashtags and keywords your target audience uses so that type of content can be created with our Content Marketing Services and posted, shared which is relevant to their interests. Keyword research will further help to learn which hashtags and phrases to use in your social media posts so you have a higher chance of being found when people search for content relevant to your brand. Here’s an example. Let’s say you’re a Hill shoe brand in Mumbai. People Tweeting about sports hill shoes in Mumbai or searching the hashtag #hillsofmumbai on Instagram are more than likely a part of your target audience. So naturally, you want to make sure your social media posts show up for those types of searches. But how do you know which keywords are going to be the most important to your brand? In SEO the variety of tools are used to find out how often certain keywords and phrases are searched (search volume). But those numbers don’t necessarily correlate to social media use. We make it simple with our team of experts. Hashtags have become synonymous with social media marketing. Instagram, Twitter, Facebook and pretty much all other top social media sites integrate hashtags in some fashion. They make it easy to track trending topics, categorize social media posts and they can be entertaining. We cleverly use Hashtags to make Social Media Optimization (SMO) starts delivering the desired results. We use #Hashtags to by give your posts more reach, and making it easier for your content to be found even by people who aren’t following you. Even though hashtags can seem kind of different formats, irregular, random, behind of them there’s always a strategy involved in getting the most out of them like user engagement, to make the content viral, etc. We also study at what hashtags influencers in your industry are using so that we can prepare your SMO from that angle also. We also strategize and create new #Hashtags for your Business to establish dominance in the digital sphere, to track specific social media marketing campaigns. To maximize exposure of your social media profiles, keywords play a very strong role and we are there to work it out. In fact, if you’re not optimizing your profiles correctly, you’re leaving money on the table for your competitors, but with our Social Media Marketing Services (SMO) you will get this aspect covered safely. We structure your keywords and target key phrases into your social profiles in a natural, non-spammy way. We plan and work out to effectively use your keyword or phrase in your profile or page name, which will help you rank better in keyword searches on Google and within the social network search itself. What we do in our Search Engine Optimization (SEO) Services, is optimize your website (referred as On-Page-SEO). After this, the content on every page helps search engines understand what your website is about. So when people are searching for topics relevant to your website, search engines know to recommend your content. Social media Optimization is very similar. But instead of optimizing your website, we here optimize your profile. Creating your profile is the first step of SMO implementation where businesses fall short. Think of your Services' profile page as your foundation. If it’s weak, it’s hard to build anything on top of it, therefore, we always work out from the basic to cover everything for our clients. We help you to fill out the profile information because Search engines tend to favor profiles with relevant, useful, engage worthy, complete information available. Each social network has its own search process. Optimizing your social profiles would help you increase visibility. We focus on this because it also creates a more professional adhesive experience for others in your network, so all the contact information in your social profiles should be exactly the same as they are on your website. “Content Is King” when it comes to SEO or more clearly for Organic Results. Well, the same thing is true when we’re talking about SMO. Content drives social media. You can’t succeed with social media marketing without sharing quality content. Therefore we also provide our clients the Best Content Marketing Services in which we provide Content Creation Services also. We with our SMO services, build a strategy that uses a mix of both. We respect to time in our services whether it is Social Media Optimization (SMO) or any other Digital Marketing Services because time is the only thing which makes everything relative and sensible. Therefore the time you post on Social Media is just as important as what is posted by you. What’s the point in sharing an amazing photo on Facebook if your audience is absent (offline) at that time? There are no such rules defined for the Best Time to Post on Social Media but it varies according to business and audience and many other factors. We work out to decide that optimal posting time for posting on your social media accounts, which depends on your audience and the social media site you’re using, etc. As eating food is necessary for everyday life but when to eat and how many time to eat both the things are equally important. On the same Principle, we also take care of the frequency of posting on social media. Remember Everything in Excess is Harmful. We carefully manage this second part of timing your social media posts by choosing the right frequency. We make it in such a way that as many people can see your posts as possible, but we never go for mal-practice to completely bombard your followers’ streams and timelines. Consider a student who goes to school but on his interest of schedule and maintains a random order. Think, will he pass any examination? Definitely not. Same is the matter in Social Media Optimization (SMO). Just like Search Engine Optimization (SEO) Services, it’s not one time or one-day event. Continuity and Regularity are the keys to make your SMO plans successful. If you are consistent on Social Media then it will create trust and credibility about you among the visitors, customers and your consumers too moreover it also helps to make your audience continuously engaged with your social profiles or websites. We sincerely maintain this Consistency factor to work out a professional and successful Social Media Optimization Planning. We think this is pool building process between Website Presence and Social Presence to give integrated user experience. We work out so that Social Media Sharing tools gets integrated into your site architecture. We always practice links-exchange in which we include direct web links to your social media channels from your website and from your social profiles back to your website. Moreover, we also suggest adding social media sharing buttons to an individual web-page, blog posts or at the content level also. We try to add social widgets and badges to your web pages which enables your viewers to share your content easily on the preferred social networks. Your audience can pick and choose any network that they want for sharing your content. We give these steps importance because having a high web authority Links on social media are often considered higher-quality links. So, even if your social media page is brand new, it’s likely to rank well in the SERP’s because of that social media platform’s overall high authority. E.g. Facebook Page newly created can rank for a given search query in SERP. The more you interact on social media, the more stories you create. This would inevitably increase your social footprints. Moreover, your users will get more stories to act upon on social networks. Search engines consider social stories as votes. So, it would also help you in SEO. To ensure your social media optimization process works for a long time, you need to create great content consistently on social media. Regularly upload fresh content on your website and social media profiles. And don’t forget to optimize them for search. Once the content is ready, make sure to share them on multiple channels. The more you do it, the more social footprints you get. You also can try different formats of the same content to ensure maximum reach from different sources. However, always choose the networks that can add value to your business. We advise when it comes to like others’ posts, do so with a genuine purpose. We suggest that to like the content that deserves to be liked. Don’t limit yourself to only those who you are trying to connect with. The reason why liking works is that when you like someone’s content, they are more likely to return your favor by interacting with you on your profile. Or they could go ahead and actually initiate a relationship with you. We advise being engaged on Social Media as it is a great place to share your opinions and express your thoughts with people who share similar interests. We also suggest to comment on the right content and connecting with the right people, you show your target audience that you care about the issues they care about. When you comment on others’ content in your niche, you not only grow your network but also stay ahead of others who are not participating. Moreover, we suggest commenting on others’ post with a link to your site or a web page because it creates a backlink for you which we practice in our Search Engine Optimization (SEP) Services as Off-Page-SEO. Remember it’s called SOCIAL MEDIA for reason. Social signals are an important factor in SEO because search engines look at social signals and factor in how often you’re posting, how many people interact with you, and availability of social sharing elements to website visitors. Brands may usually forget that the purpose of these platforms is to build relationships, but we come up with strategized approach to solve such problems. It’s not a set and forget type of medium. We advise to get out there and participate in open or group conversations, follow your customer base, and share helpful content from both your website and other relevant sites. Being social is the first step to finding success with social media marketing and optimization. While there is nothing wrong in focusing on the marketing side of things, it should not come at the expense of being active on social media. In order to do effectively optimize your social media, we advise you to understand the social media landscape by being a part of it. We clearly tell to our clients that they always need to participate in every possible way to make sure that you are on the right track. We also guide that once you create a social media profile on a particular social network, don’t stop there. Spend some time following others, visiting their profiles, commenting on their content, etc. Networking is all about connecting with others by reaching out to them and starting new relationships. D) Benefits of Social Media Optimization Services (SMO). Why is Social Media Optimization (SMO) necessary? Benefits of Social Media Optimization Services (SMO) with Omkara Marketing Services! Whether you are running a small, local operation, or heading a global, enterprise-level effort make it clear that your customers are online, increasingly using IoT(s). They are live some part of daily life while interacting with different Social Media Channels with their friends, colleagues, and other brands in search of information, recommendations, and entertainment. If your Services is not around to answer, a competitor will be and in doing so, your competitor will take away your customer(s) at hand, along with anyone else listening. If your competitors have establishes their strong presence with the help of SMO and SMM then for what you are still waiting for? Don’t invite a damage by yourself for your Business. It says that where there are your customers or/and competitors there should be your marketing efforts. The lines between social media marketing and search engine marketing are becoming increasingly blurred. In the past, the two were looked at as separate and distinct aspects of marketing. But the reality is that they’re more intertwined than you might think. If you want a solid overall approach to online marketing, you need a healthy balance of SEO and SMO. More shared links depict you as an authority to search engines and improve SEO. Facebook, Twitter, and LinkedIn all feature top shared content as “Top News”, “Top Tweet”, and “Top Headlines” providing more opportunities to drive traffic. SMO (Social Media Optimization) is analogous to SEO (search engine optimization) in that the goal is to drive traffic to your Web site. SMO is the next phase of Digital Marketing converging the perfect marriage between Search Engine Optimization (SEO) and social media. As a business in the Internet Age, you can’t exist without addressing the critical issues of online visibility and customer interaction. That’s exactly what SMO is designed to do. When SEO is used effectively social media i.e. SMO it can be one of your greatest assets for improving your site’s organic search results. Social media optimization is a promotional tactic that focuses on growing brand visibility, brand affinity, and consumer engagement through the use of interactive media channels, profiles, and tools, such as Facebook, Twitter, LinkedIn, Blogs, Pinterest and more. SMO or Social Media Optimization forms a very important limb of the Services' marketing strategy. With practically all your target audience on Facebook, Twitter, Instagram, YouTube, LinkedIn (phew) - you get the gist. It’s incredibly important to tap these avenues to their fullest for increased brand visibility, brand awareness, and engagement. Creative, engaging content goes a long way and helps the sales go high. After all, people buy from trusted sources and your brand may not cut it if it doesn’t ring a bell in the customer’s head. Today, where companies have Facebook stores and hashtags that trend on Twitter, having a robust social media strategy is mandatory. Working with SMO can help you strengthen your brand and boost visibility, as well as generate leads and increase sales. Optimizing your social media builds both familiarity with and trust for your business because consumers will see you not only mentioned but recommended by others. Keep in mind that Social Media is for your business and not the business is made for social media so use it as a tool for the growth of your business. Social media should take your existing brand and solidify it, galvanize it, and bolster it. Your efforts in social media should be an extension of everything else you do in all other marketing channels, departments of your Services. Capturing your Services' voice and sharing it with the world through social media will open up unique opportunities in all other channels of Inbound Marketing, including SEO, branding, public relations, sales, and more. Your social media presence should mean a lot to your business community as a whole - not just your customers or prospects. That is what results in the successful use of the social networks for business. The benefits or advantages of such Social Media Optimization - one that works on improving the social image of your business - are too many to list here. Social Media acts as a springboard between different marketing channels and your customers. Creating a strong online identity or authority is crucial for any brand that wants to be known and trusted. With social media optimization, your business can build a viable web presence while helping you establish yourself as an authority in the eyes of your target audience. SMO provides your brand the needed visibility while empowering, educating people about the nature of your business. In order to increase your customer base and get more business, it is crucial for your business to find and connect with your niche audience. Social media is a great tool to establish a relationship with your niche audience without compromising on their preferences or likes/dislikes. People have access to social media on the go. This makes it easy for them to connect with you through their mobile device regardless of their location. By connecting with people in various online venues, you extend the reach of your business and increase opportunities for people to link to your main business page. 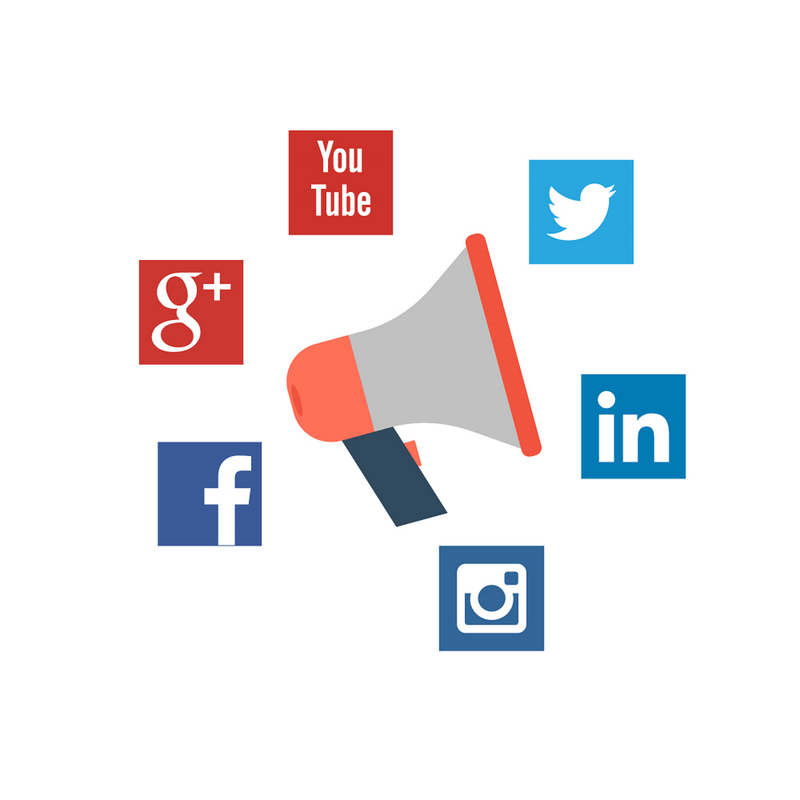 Social media optimization connects and creates a well-developed, well-monitored network all of your social media accounts in an adhesive, consistently growing, branded network that points your potential customers where you want them to go. SMO Pros at us employs a strategic, multi-point process to build your successful SMO foundation, boost your SEO, and drive more potential customers to your site. Information can be shared through social media at an amazingly fast pace, and users are increasingly turning to social channels to share information in real-time. This information e.g. comments, direct messages, group discussions, etc. often takes the form of suggestions, complains, problems customers face from your products, opinions, so if you're listening for the right cues from your audience, social media can become an invaluable source of insights and feedback. Incorporating social listening into product development work can act as an early warning system, save on customer service costs, provide valuable development feedback, and even help identify ideal beta testers without much expense. Traffic generation is an integral component of Internet marketing. It doesn’t matter what stage your business is on, if you don’t have the right amount of traffic coming in, you will not see any favorable results. Social Media Optimization (SMO) generates qualified leads, increasing & relevant traffic to your website without burning a hole in your wallet. The biggest advantage being, you can use social media channels to reach out to customers on a global level. There are zero geographical limitations. And you don’t have to make a huge financial investment to do so. Generating high-quality leads can help your business in more than one way. When almost all the businesses are using social media successfully to build a stronger brand and get the word out about their product, there are only some out of them who are quietly leveraging it to gather targeted leads. Regardless of your lead generation goals, by tapping into the right social media channel, you can take your lead generation campaign to the next level. Content created and curated by users carries greater influence and travels faster than doing it on your own. User-Generated Content includes Voice of the customer (VoC) feedbacks, questions, testimonials, and insights surface through social interaction, discussion, and sharing. Lots of comments or shares prove that content is read- and share-worthy. Featuring these counts on your web pages for those articles can increase social follows, article click-through rates, shared links, and Inbound Links. Users appreciate the opportunity to participate in discussions and are generally willing to share or discuss content they like or dislike. The open discussion builds a community around the topic. Empowering users to more easily speak out about your content helps build brand ambassadors for your products or services. Comments, subscribers, and shares are all useful metrics for measuring the quality of blog content and the success of social media tactics. Social shares carry a lot more weight and they leave a positive or negative impact on your presence on each platform of digital sphere whenever they reach from someone else. In addition, irrelevant, irregular, paid, indiscriminate link-spreading without engagement and participation will get you un-followed in your social networks—which in turn drives down your authority. We never do such things. With newer algorithms rolled out by Facebook with respect to the organic reach and the likes, companies need to modify their approach and expectations from the platforms. Rely on us to come up with super strategies, creative content and appealing creative approach for your business. Right from setting your Services pages up to maintaining them is our job. And we will make sure your brand socially accepted and loved. If you’re looking to improve your SMO, it’s important to keep in mind that having huge numbers of links to your website scattered across social networks is not optimization. Joining every Facebook Page, Twitter Handle, Instagram Page Google+ Community, and the LinkedIn group without any connection, any relevance just to spread links to your content is actually hazardous, counterproductive, to both SMO and SEO. E) How To Know If Social Media is working? How does Omkara Marketing Services analyze Social Media Optimization? What does any of the hard work & investment matter if you don’t know the results? How will you or we check whether any efforts taken by our Social Media Optimization (SMO) Services are doing making loss or profit, driving positive or negative results? The simple answer is that continuous watch (monitoring), an analysis will only give the answers to these questions. Social Media Optimization Analytics refers to the gathering of data from social media platforms to help inform us and guide our marketing strategy. Social Media Analytics helps you to measure your performance against your social media goals which you tried with Social Media Optimization (SMO) Services. Social Media Analytics as a part of social analytics is the process of gathering data from stakeholder conversations on digital media and processing into structured insights leading to more information-driven business decisions and increased customer centrality for brands and businesses. We with Social Media Optimization (SMO)-Analytics help grow the success of your interactive media efforts. We analyze your Social Media Optimization (SMO) Campaign (Services) on regular basis as per the requirements. These types of Analysis and Reports generated from them provides the data needed to make knowledgeable decisions on what to do next, with whom, when, and in what places. Social media analytics can also be defined as social media listening, social media monitoring or social media intelligence. Calculate ROI (Return on Investment) for SMO Efforts. Where to modify for SMO. 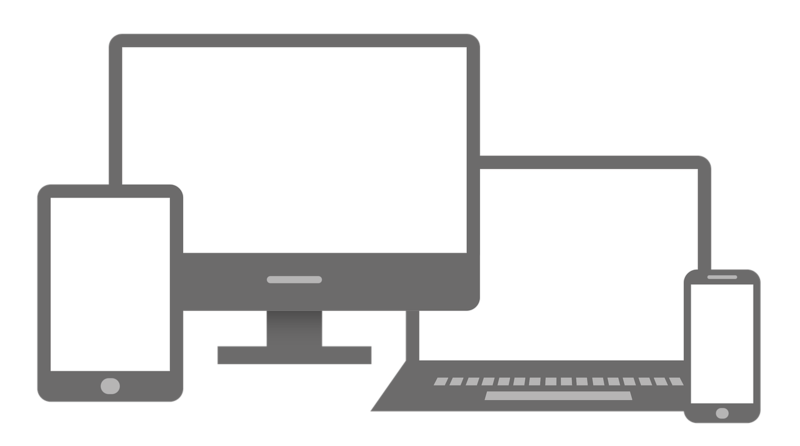 Track your top referring sites to your blog or website. Get a month-by-month snapshot of interactive performance to gauge follower and fan growth. Dissect monthly traffic to determine who’s returning, who’s unique, and what content is driving specific behaviors. 1. Content (Image, Info-graphics, Blog Posts, Texts, Videos, etc.) required won’t be created by us for Social Media Optimization (SMO) Services. We can provide Content only through Content Marketing Services. 2. In Social Media Optimization (SMO) Services, we are not going to operate your Social Media Accounts other than that for Paid Advertising in Social Media Marketing (SMM) Services provided by us. If you as a business want us to operate your social media accounts then it will be charged separately. Nice post. For me! Thanks for sharing content and such nice information for me. I hope you will share some more content about smo services. Please keep sharing! I usually comment less on blog post, but your content is really good, that could't stop me from commenting. We are a Professional web design company with an excellent track record. We have a team of UI/UX designers who develop top-class websites at affordable cost. In my opinion SMO is the core of the digital industry. Only web designing catches the attention of viewers that ultimately turns into your valuable customer or long term lead. Keep sharing, your blog is really helpful. Thanks for sharing the info, keep up the good work going.... I really enjoyed exploring your site. good resource. Treemultisoft is the best Web Designing company in Dehradun. 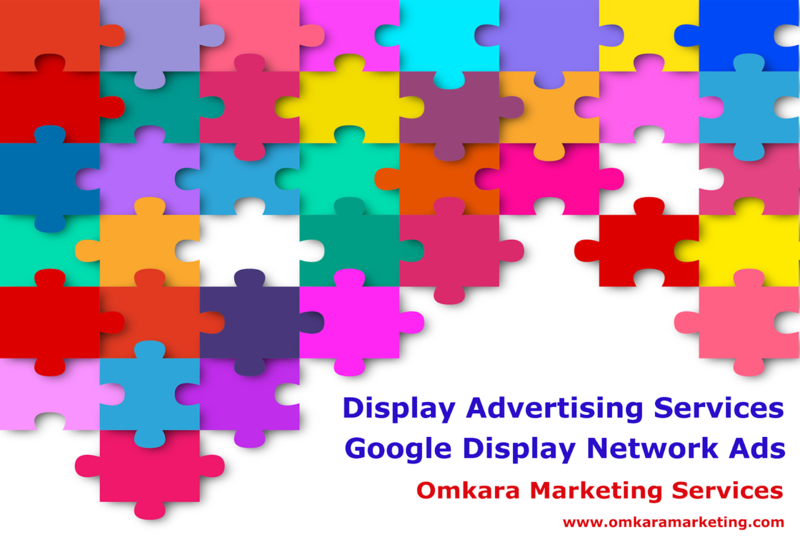 AdWords Display Advertising Services,Google Display Network Ads Campaigns,Display Network Marketing CompanyWe, Omkara Marketing Services are The Credible and Innovatory Digital Marketing Company, Display Advertising Company who provides quality Display Advertising Services, Google Display Network Ads Services,Remarketing Services, Online Banner Advertisement Services, to Promote your Small or Local or Medium or Big Sized Business, strategically targeted to potential customers, increase customer base, conversion, lead generation, Increase your ROI and sales, to reach customers across Millions of websites, devices, browsers and apps through befitting placement of all formats of display ads with the latest updated techniques.